Sydney has an impressive selection of world-class museums, most of which are never far from the heart of the city, Darling Harbour and the Circular Quay. The Museum of Sydney is one to look out for and actually stands on the site of the late 18th-century residence of the first governor of New South Wales, Arthur Phillip. Exhibits of particular interest include those related to archaeology, the convict days and colonial times. The Australian National Maritime Museum is also extremely popular with Sydney tourists and contains some very important watercraft, including the fastest speedboat in existence, the 'Spirit of Australia', which broke the world record in 1978 when it reached speeds of more than 500 kmh / 310 mph. As the country's oldest, the Australian Museum also warrants a mention and specialises in anthropology and natural history, with dinosaur skeletons and fossils being firm favourite with children. Operated by the Historic Houses Trust of New South Wales, the Museum of Sydney lies within the Central Business District, where it has become one of the most popular and dynamic cultural attractions of its kind within the city. With installation and multiple-perspective art, state-of-the-art technology, interactive exhibits and many exciting displays, the museum explores the city's early history and culture, including the indigenous Eora civilisation and convict life. Also very much of note are the seasonal events, temporary exhibitions, the large gift shop and the café area. The Australian National Maritime Museum, in the Central Business District, is really very hard to miss and stands at the western end of Pyrmont Bridge. Featuring sail-like roofs, which rather resemble the famous Sydney Opera House, the Australian National Maritime tells the rich story of the city's historic relationship with the sea. With Aboriginal canoes, displays about the arrival of the First Fleet, information on the city's thriving surf culture, many historic artefacts, regular guided tours, a gift shop, café area and a number of moored boats, this popular attraction is conveniently near to the Harbourside monorail. 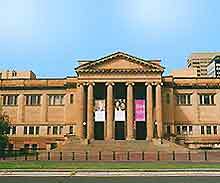 The Australian Museum is located in the Central Business District and is now one of the oldest in the whole of Australia. This large and impressive natural history complex was established just 40 years after Sydney was colonised and features a vast collection of Australian wildlife exhibits, Aboriginal artefacts and interactive displays, as well as a popular gift shop and restaurant area. Attractions close by include Cook Park, Phillip Park and Hyde Park, home of the ANZAC War Memorial. Celebrating the life of the city's famous contemporary artist Brett Whiteley, who died in the late 20th century, the Brett Whiteley Studio features many exhibits about his life, including a selection of his original paintings and drawings. This acclaimed artist purchased the studio in the mid-1980s, when it was nothing more than a run-down warehouse, and subsequently converted it into the exhibition space that you see today. An array of postcards are available at the gallery shop, together with some inexpensive Whiteley merchandise. With exhibitions of beautiful cedar furniture, early Australian art, stunning ceramics, many original 19th-century artefacts and guided tours, the Clyde Bank Museum can be found in the Rocks area, near Dawes Point and the Observatory Park. The Clyde Bank is housed in a grand mansion, which dates back to the early 19th century, and is within easy reach of the city centre, by either bus, train or ferry. The Colonial House is located in a delightful private building, being filled with colonial-era furniture and a vast amount of memorabilia. Owned by a local historian, the house is overflowing with interesting historic exhibits and information. The Bradfield Highway (Cahill Expressway) runs close by, while the Harbour View Hotel is another useful point of reference, being just a matter of minutes away. Situated in the Lower North Shore, the Don Bank Museum is amongst the oldest buildings in this part of the city. Housing many historic exhibits and artefacts from this northern region, including antiques, furniture, paintings and sculptures, the Don Bank also features a number of temporary exhibitions throughout the calendar. The Hills District Historical Centre is sited within the Greater West district and features a large collection of historic farming equipment, agricultural artefacts, period furniture and a number of important artefacts from this part of the city. The Hyde Park Barracks Museum, within the Central Business District, was designed by Francis Greenway in 1819. Located at the northern end of Hyde Park, the Barracks were originally built as convict quarters and are now home to a wealth of historic information, concentrating on the city's rich past and heritage. The Martin Place train station stands close by. The Justice and Police Museum, in the Central Business District, was built in the mid-1950s by colonial architect James Barnet. Housed within historic Water Police Station, which was in use until 1979, the Justice and Police Museum features many interesting exhibits about the city's criminal past and policing methods, including forensic evidence, gruesome weapons and famous past crimes. This attraction can be easily reached by bus, train or ferry and both audio and Braille guides are available if required. 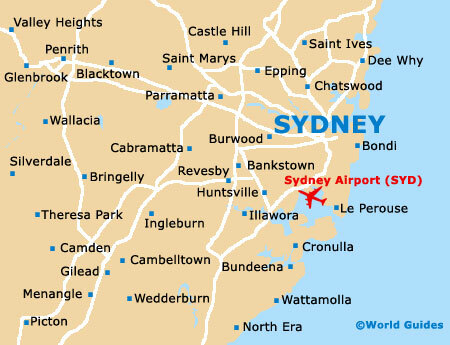 Nearby you will find the Parliament of New South Wales, the Domain and the Royal Botanic Gardens. The Laperouse Museum is located on the northern side of Botany Bay entrance, in Greater Sydney. With an interesting Aboriginal gallery, historic maps, important local documents and a number of maritime exhibits, the Laperouse is named after a famous French explorer who arrived at this very spot in 1788. The Macleay Museum, in the Inner West district of the city, features impressive natural history exhibits, many of which where donated by famous zoologist Sir William Macleay, more than 100 years ago. With stuffed birds and animals, dinosaur skeletons, photographs, scientific instruments and many local artefacts, the Macleay is also home to important research information. Sited within the Lower North Shore neighbourhood, the Mary Mackillop Place is a fascinating museum. This important attraction houses displays about the life of Mary Mackillop, a young girl from the bush who became a legendary nun and Australia's first saint in the late 19th century. The chapel, housing Mary Mackillop's tomb, was actually blessed by Pope John Paul II during his visit to the city in 1995. 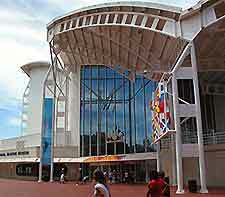 The Motor World Museum stands close to Darling Harbour, between Tumbalong Park and Wentworth Park. Home to a large collection of vintage cars, motorbikes and vehicles, together with many more modern examples, the Motor World is a popular attraction for children and families. Open hours: Wednesday to Saturday - 10:00 to 17:00; Sunday - 10:00 to 17:00. Located in the Northern Beaches district and within the Manly suburb, the National Artillery Museum, can be found at the North Head Army Barracks. Featuring historic military memorabilia, informative displays and a café, much of the National Artillery is actually located beneath the ground. The Powerhouse, in the Ultimo area of the Central Business District, is one of the most spectacular and exciting museums in the city. Covering social history, decorative arts, science and technology, and communication, the Powerhouse is also known for its many state-of-the-art exhibits, hands-on displays, café and popular gift shop. The monorail line is situated close by. Dating back to the early 20th century, the Jewish Museum on Darlinghurst Road contains a number of historic displays about Jewish life not only in the city, but also throughout the world. Exhibits here concentrate on the Holocaust and also the evolving Jewish heritage of Australia. Green Park and the popular Fish Face Restaurant stand close by, together with the Oxford Art Factory.